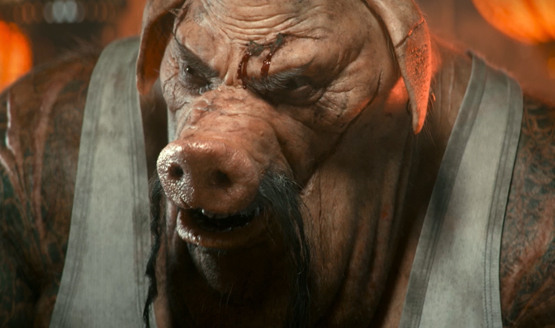 Beyond Good and Evil 2 is certainly a long way out but it has already stirred up a great deal of hype and controversy. While some fans of Beyond Good and Evil are ready for another entry, others think it’s guaranteed to be a flop. Additionally, many didn’t appreciate the collaborative nature of the game’s creation. Specifically, they feel hitRECord won’t give artists a fair deal (a concern that has been somewhat addressed). The latest Beyond Good & Evil 2 eyebrow raise is related to the game’s content itself. The game’s reveal trailer at E3 2017 showed off a planet that draws inspiration from India. We see statues of Ganesh, an elephant-headed God, as well as other Hindu imagery. This has raised concerns that the game may trivialize the Hindu faith. As a result “Hindu groups are urging French video game publisher Ubisoft to depict Hindu deities, temples, traditions, terminology and concepts with respect and accuracy in upcoming video-game Beyond Good and Evil 2.”Hindu community activist, Rajan Zed, has spoken up regarding this in the hopes that things will be approached tactfully because the “refashioning of Hinduism scriptures, symbols, traditions, concepts, terminology and deities for mercantile greed [is] likely to hurt the sentiments of devotees.” Representation is great but developers always have to be careful. There’s a thin line between cultural appreciation and appropriation. Hopefully Ubisoft has knowledgeable consultants from the Hindu community to aid them in the creation of Beyond Good and Evil 2. What games have you played that handled culture and religion really well, enhancing the game while remaining respectful? Let us know in the comments.